Kindergarten Graduation Tassels are considered essential graduation accessories in all graduation levels. 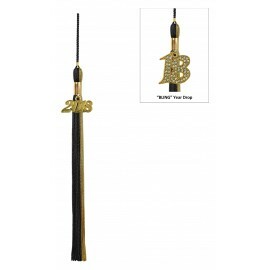 These come in a wide variety of makes and styles to suit every graduate's needs. 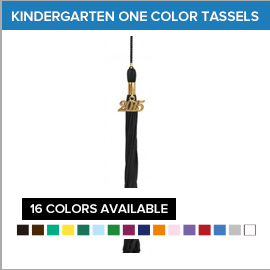 There are two kinds of kindergarten graduation tassels. 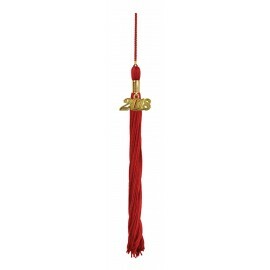 These are the one color and two color, custom color can be made based on our customer's requests. 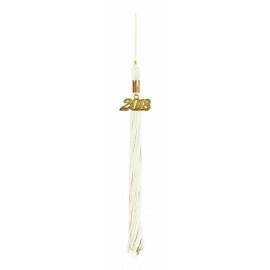 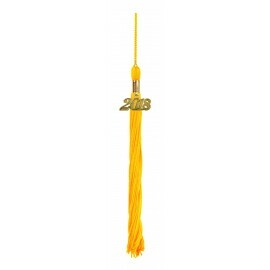 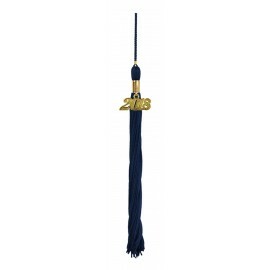 A secure clasp barrel as well as a current year charm comes standard with each high quality poly/rayon graduation tassel from Gradshop.com. What's more, these come in 17 vibrant colors to meet the requirements of your little graduate. 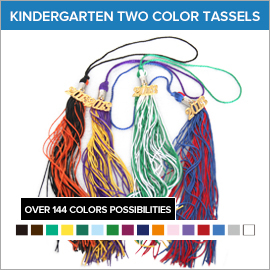 View our east to use website for full access to our complete line of kindergarten tassels, children's graduation rings and kids' stoles to find the perfect accessory for your child's kindergarten graduation.